The Mounts page shows all mounts available for purchase for real money. Stablemasters will sell you standard horses. 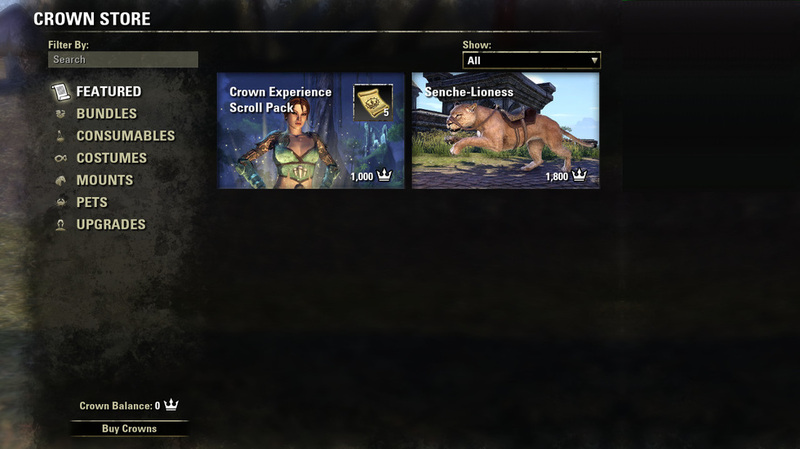 The But Crowns button will open up your standard browser and open up the ESO store. Here you can purchase Crown with real money.